A recent study found that over a quarter of young children do not consume a single serving of fruits and vegetables on a daily basis. That news is alarming for Teresa Thorne, executive director of the Alliance for Food and Farming in Watsonville. The CDC releases consumption data every other year. At any age, only one in 10 people is eating enough fruits and vegetables every day. “When you see a study like this and it talks about toddlers, children, and their lack of consumption, it is disturbing,” Thorne said. Fruits and vegetables are not a current trend, but that is why it is important to make sure that there is an abundance of affordable and acceptable fruits and vegetables for parents to provide to their children. “This is alarming because many children develop their eating habits around the age of two, and these habits will carry on into the rest of their lifetime,” Thorne explained. In the study, the authors did some simple suggestions for parents in terms of helping parents to incorporate fruits and vegetables in the diet. For more information, visit SafeFruitsAndVeggies.com. Here is the letter from AFF to EWG, in its entirety. We noted your organization’s acknowledgment in the “Food Scores” database that both conventional and organic fruits and vegetables should be considered best food choices for consumers. We also saw the Environmental Working Group’s new and very strong statement concerning the need to increase daily produce consumption for most Americans now posted on your website. As you are well aware, our organization, the Alliance for Food and Farming (AFF), has repeatedly requested that you discontinue the publication of your annual “dirty dozen” list because it is misleading to consumers, is not peer-reviewed and is not based on real risk. The conventional and organic fruit and vegetable farmers we represent produce a very safe product that experts around the world agree we should all be eating more of for better health. In addition, the USDA, FDA and EPA all clearly state that residues do not pose a food safety concern. For these reasons, along with EWG’s new and strong acknowledgement of the health and safety of conventional produce, the AFF renews its call for your organization to end your annual release of the “dirty dozen” list. While there is still much information to come with respect to the validity and credibility of your new “Food Scores” report, we are pleased to see that, for produce, this new report supports decades of nutritional studies showing the health benefits of a diet rich in fruits and vegetables – regardless of whether they are organic or conventional. We are sure you would agree that it is illogical for your organization to urge consumers to eat more conventional produce while simultaneously mislabeling these safe and healthy foods “dirty,” “toxic laden,” and “contaminated” among other things. We look forward to hearing from you regarding your future intentions for the so-called “dirty dozen” list. Seems like we hit a nerve. Apparently, helping consumers identify those foods with too much fat, sugar and salt — as well as foods with unregulated food chemicals or too much mercury – is giving Big Food’s hired guns indigestion. 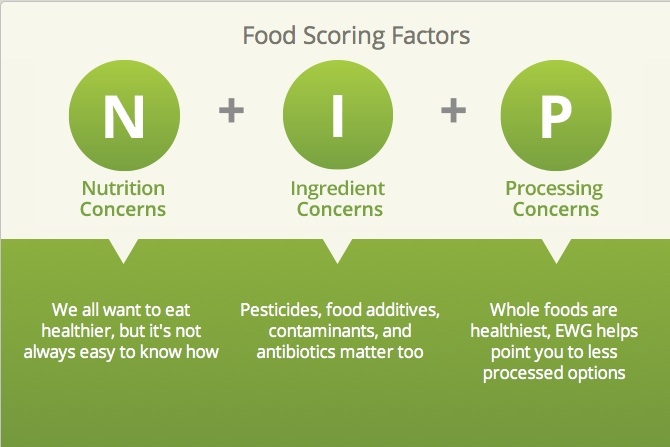 Of course, food manufacturers don’t like scoring systems like NuVal or Guiding Stars, so it’s no surprise they are already attacking Food Scores. Could it be that so many packaged foods score poorly? Big Food’s lobbyists contend that we relied upon “isolated studies” to include added sugars and some low-calorie sweeteners in our scores. By “isolated studies,” they mean peer-reviewed research by the Institute of Medicine, the health arm of the National Academy of Sciences. Big Food’s lobbyists also claim that we used “online sources” to address the risks posed by arsenic and other food contaminants. By “online sources,” they mean the Food and Drug Administration. In fact, our scoring system is based upon hundreds of studies conducted by leading experts, including those at the World Health Organization. And, unlike industry-funded studies of food chemicals, the studies that served as our references are available for everyone to see. Big Food’s lobbyists are especially peeved that EWG recognized that organic foods score better than conventional foods. Well, duh. Unlike so-called “natural” foods peddled by food giants, certified organic foods cannot be produced with toxic pesticides, antibiotics and hormones. The U.S. Department of Agriculture has even stricter rules when it comes to what can go into “flavors.” Nor can organic food use genetically engineered ingredients, though GE content doesn’t factor into our scoring system. Even fruit and vegetable lobbyists took time to bash EWG’s new food scoring tool. Top scores for actual fruits and vegetables weren’t enough for the Alliance for Food and Farming, a trade association that represents conventional produce growers, which accused EWG of making “disparaging, inaccurate safety claims” in our Shopper’s Guide to Pesticides in Produce. This is the same group that blamed EWG for scaring people away from healthy food and spent $180,000 of your tax dollars erroneously claiming the Shopper’s Guide discourages people from eating their fruits and veggies. As regular users of the Shopper’s Guide know, EWG’s top shelf advice is to eat your fruits and veggies. But, as EWG’s research shows, not all veggies are the same, and some have more pesticide residues than others. That’s why we will ignore the call to discontinue publishing our Shopper’s Guide. It seems that some food and farm lobbyists can’t handle the food truth. a team of scientists, policy experts, lawyers, communication experts and programmers who stand up for public health when government or industry won’t. Watsonville, CA — A non-profit group representing farmers of conventional and organic fruits and vegetables is urging caution concerning claims made today by the Environmental Working Group (EWG). According to the Alliance for Food and Farming, the EWG is making an attempt to reinvigorate waning media interest in its upcoming Shoppers Guide to Pesticides in Produce, by making inflammatory claims about the safety of apples, a favorite fruit of Americans and, in particular, children. The Alliance notes the EWG claims concern a compound, known as DPA, applied to apples following harvest to prevent them scalding during cold storage. Monitoring of this compound is regularly conducted as part of the United States Department of Agriculture Pesticide Data Program (PDP) and it has been found to be well below tolerance levels. More than 60 countries and the World Health Organization have found this compound to be safe when used according to stringent regulations governing all uses of pesticides by U.S. farmers. Dr. Carl Winter, a toxicologist with the University of California, Davis, states that DPA residues specifically have been shown to be 208 times lower than the US. Environmental Protection Agency’s reference dose. It should be noted, however, that fresh apples were not included in this year’s PDP report, although they have been tested through this program many times before. Data from this government report is used by EWG to develop its so-called dirty dozen list, but they may be using old data to make these most recent claims about apples. 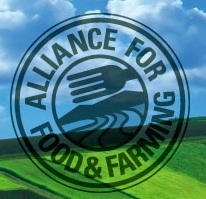 The Alliance for Food and Farming has developed a website working with experts in toxicology, nutrition, risk assessment and farming where people can learn more about the regulations in place to ensure the safety of fruits and vegetables at www.safefruitsandveggies.com. Dolan urged consumers to use its pesticide residue calculator to learn more about residues on their favorite fruits and vegetables and she emphasized that health experts around the world agree, and even the EWG has stated, that a diet rich in fruits and vegetables far outweighs any risks from residues that may be present. She also emphasizes that decades of research backs up the clear health benefits associated with eating conventionally grown fruits and vegetables. A series of reports on these health benefits can be found on the Safe Fruits and Veggies website. The Alliance for Food and Farming has been preparing for the annual release of the EWG’s Dirty Dozen list, which is scheduled for release next week. The Alliance has been successful in recent years in shedding more light on the topic of pesticide residues by giving consumers and media more information about the safety of conventional and organic fruits and vegetables. As a result of this work, consumers now have a science-based resource for information, unlike the EWG Shoppers Guide, which is not based on peer-reviewed science.